As the summer draws to a close, The Reading and Leeds Festivals bring the curtain crashing down on the mainstream festival circuit. Here are the five bands we think that you need to catch at this year's event. They've been skittering around the edges of the mainstream since 1996 and Camera Obscura are back on the road to bring their formidable arsenal to a London festival and a surprisingly intimate warm-up show. 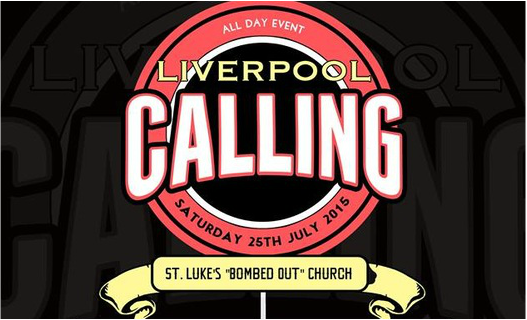 This weekend sees the return of Liverpool Calling Festival. This year the event takes place across venues like The Magnet and Maguire's Pizza bar, as well as returning to its spiritual home of St. Luke's Bombed Out Church for the main stage. The world of festivals is a fast-moving game and it doesn't feel like five years since we were heading to Wakefield for Long Division's first event. We’ve already suggested a clutch of bands we suggest you make time for at this year’s Long Division Festival. Now we tip our cap to four of the event's outstanding headline acts. ﻿With Long Division less than two weeks away, we cast our eyes over the lineup and thrust suggestions at you. While the likes of Ash and Pulled Apart by Horses are topping the bill, there’s plenty to be found across the rest of the weekend.